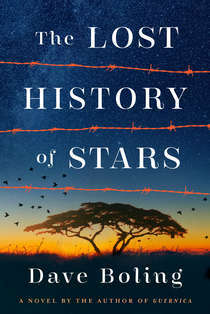 Dave Boling is the author of the new historical novel The Lost History of Stars, which takes place in South Africa during the Boer War. 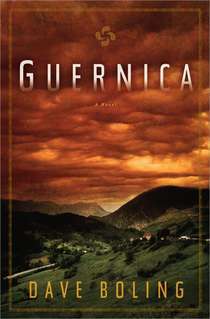 He also has written the novel Guernica. 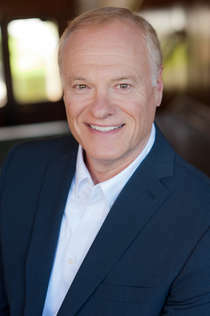 A sports writer, he is based in Seattle, Washington. Q: You note that the inspiration for this novel came from your grandfather’s experiences during the Boer War. How did that lead to your writing the book? A: My grandfather’s involvement, as a young British soldier, was the lure that caused me to research the Anglo-Boer War initially. That’s about the extent of it, though, since the nature of his duties during the war was lost in family history. But the early research led me to stories of the concentration camps the British established, and the terrible conditions that led to the deaths of many thousand Boer children. I was stunned by the stories, and disappointed that so little had been written about this atrocity. It stirred in me a powerful sense of obligation to give readers a reminder of what happened. Q: You write of your main character, Aletta, “She became my hero.” Why is that? A: I love to create characters who can teach me things, like ways to survive in even the toughest of times. As a tenacious early teen, Aletta learned how to fight her own war, every day, with little acts of brave insurgencies against British injustices. She inspired me, never giving up her fight, never surrendering even an ounce of hope. I guess I’ve been fascinated by the human capacity for finding strength and resilience in the face of the most inhumane conditions. Q: What type of research did you need to do to write the novel, and did you learn anything that especially surprised you? A: Research for any book-length project of historical fiction can be withering. I spent close to a month in South Africa, going to the sites of concentration camps, interviewing experts, and finding a stunning amount of “scene” material and background information at the Anglo-Boer War Museum in Bloemfontein. Equally valuable were interviews with psychologists who helped me get a sense of the forces at play inside the mind of a young girl going through a transitional stage of life while in life-threatening circumstances. That amounted to exploring a very foreign geography for a male author already in the latter stages of middle age. A: I wanted to examine the effects of war on the innocents. They give medals for the soldiers and hold parades in their honor, but nothing is done to recognize the terrible costs paid by the families and all those whose lives are forever changed by loss and hardship. So many stories have been written about World War II and the Holocaust, but the cycle of wars has created so many other atrocities that seem to have been overlooked through time. I hoped this could be a reminder of that sad reality. A: After two historical fiction novels, I’m trying to veer in some different directions. I’ve got a third novel finished (a light, contemporary family drama) and two screenplays in the works (one finished and another in the early stages). I’m still researching a handful of other projects. I like the idea of changing pace, and testing other writing “muscles,” although the publishing world doesn’t seem to embrace authors’ attempts to shift genres. A: Just that I have come to appreciate the works of thoughtful book bloggers. Having been a journalist for nearly four decades, I’m saddened by cuts at newspapers that have almost eliminated the Sunday “Books” sections and regular reviews. It makes it tough for authors to get word out and short-changes readers who had grown trusting of the advice of their favorite reviewers. Book bloggers have stepped in to mitigate some of those losses. And I’d say, on the whole, their work is very professional and insightful.